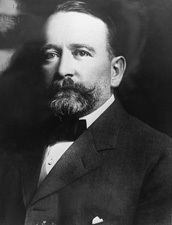 PHELAN, James Duval, a Senator from California; born in San Francisco, Calif., April 20, 1861; graduated from St. Ignatius University, San Francisco, in 1881; studied law at the University of California at Berkeley; engaged in banking; mayor of San Francisco 1897-1902; president of Relief and Red Cross Funds after the San Francisco earthquake disaster 1906; elected as a Democrat to the United States Senate and served from March 4, 1915, to March 3, 1921; unsuccessful candidate for reelection in 1920; chairman, Committee on Railroads (Sixty-fourth Congress), Committee on Irrigation and Reclamation of Arid Lands (Sixty-fifth Congress); traveled extensively in 1921 and 1922; chairman of the board of directors of the United Bank & Trust Co. at San Francisco; art collector; died at his country estate Villa Montalvo, Saratoga, Santa Clara County, Calif., August 7, 1930; interment in the family mausoleum in Holy Cross Cemetery, San Mateo County, near San Francisco, Calif. Dictionary of American Biography; Hennings, Robert E. James D. Phelan and the Wilson Progressives of California. New York: Garland Publishing Co., 1985; Walsh, James P. James Phelans Montalvo: Many Accepted, One Declined. Southern California Quarterly 58 (Spring 1976): 95-112.